A sail bath screen is an attractive addition to any bath be it contemporary or traditional. Their sail shape screen adds a designer style whilst keeping water inside the bath and not on your bathroom floor. 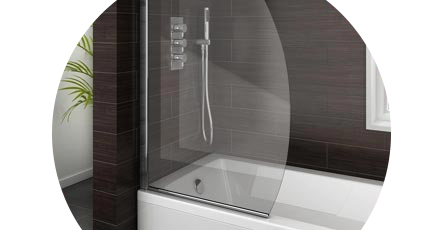 We stock sail bath shower screens from a range of top brands including Roman Showers and Coram Showers. We also have our own-brand sail screens meaning there's a screen for any budget. Sail bath screens feature a gorgeous contemporary design which will complement settings ranging from sleek and minimalist to ultra-modern. An intelligent way to upgrade any bathroom.